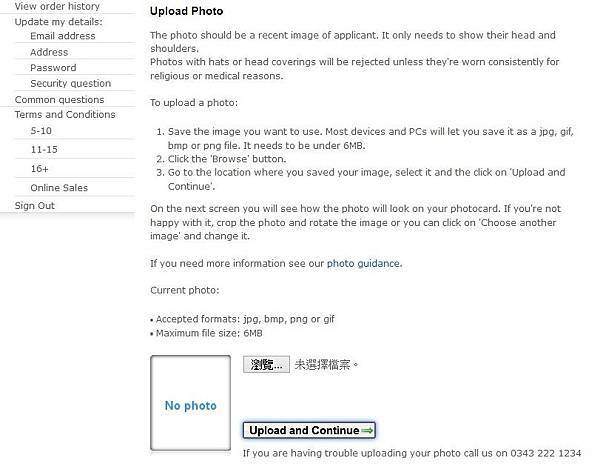 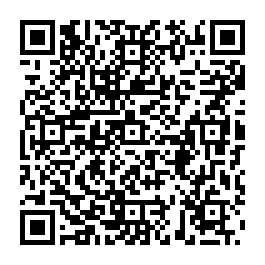 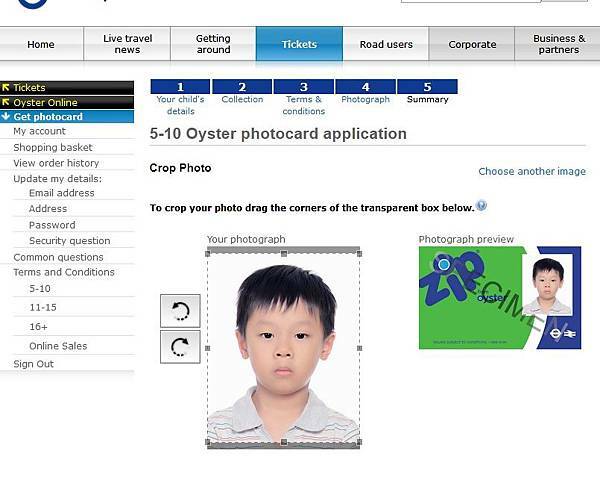 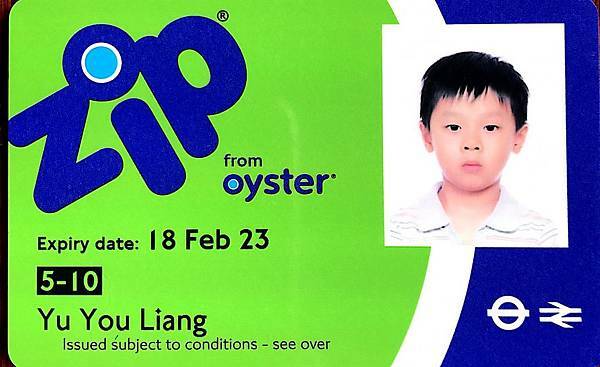 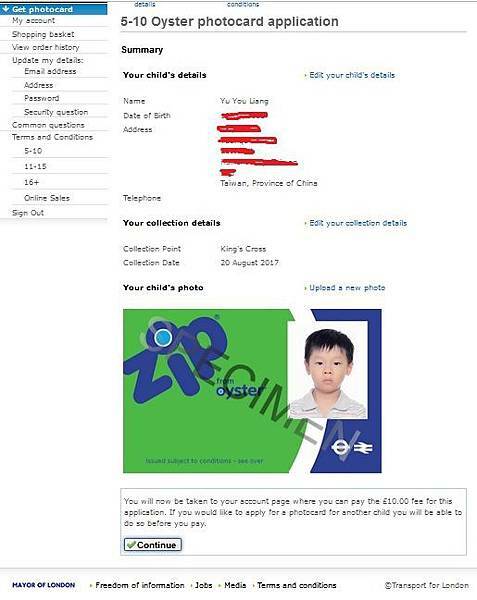 再選擇 Zip Oyster photocard - Apply online to get an Oyster photocard for our 5-18 year old. 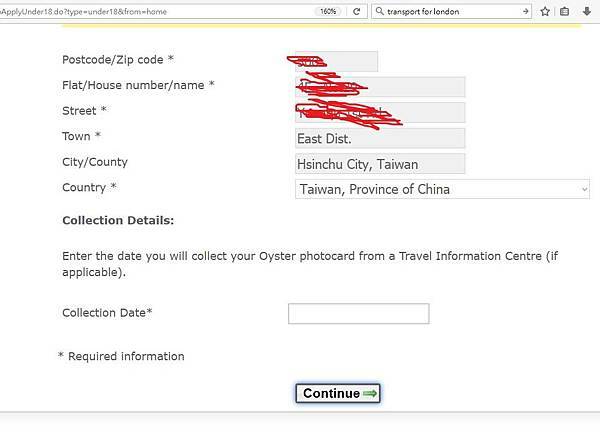 To create a web account you will need to provide an active email address, your name, address, date of birth and phone number. 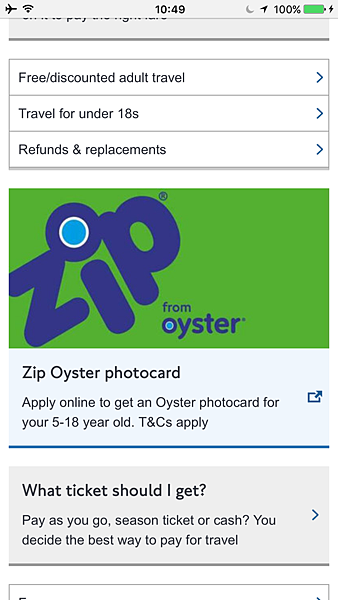 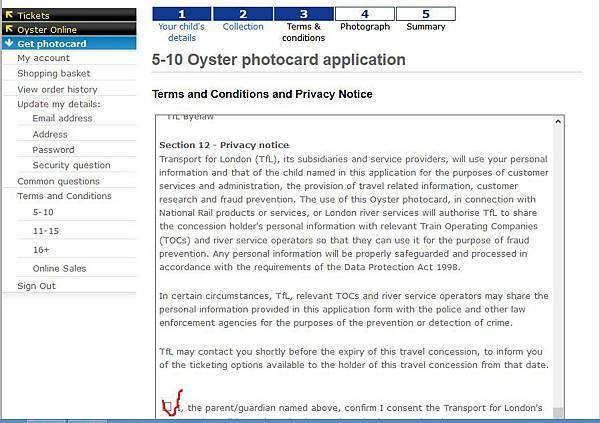 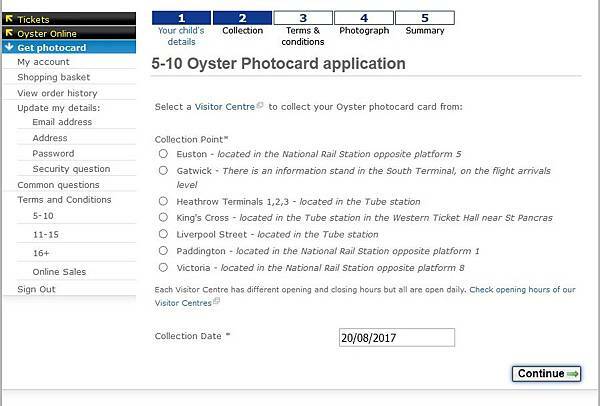 We need your date of birth so we can confirm, as the web account holder, you're aged 18 or over.Once the web account has been created, you'll be able to apply online for an Oyster photocard. 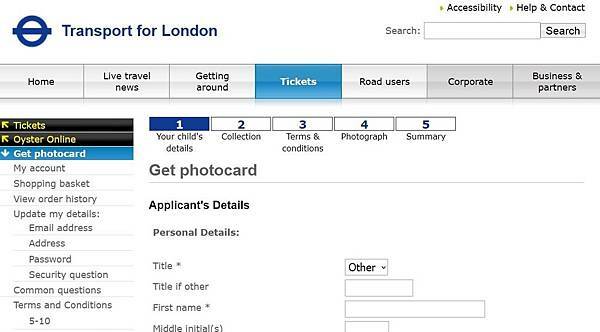 Once your application is complete, we can’t change the collection place or date. 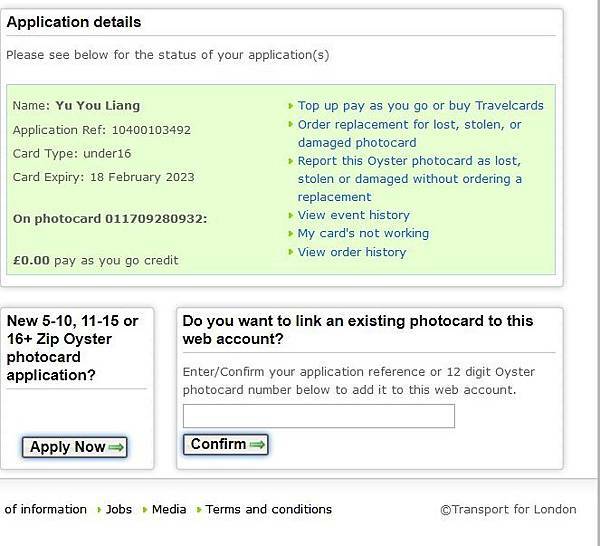 If you want to change it you’ll need to make another application and pay the £10 administration fee.